There are some spa treatments that can reduce the body swelling, such as massage. Massage helps to balance the circulation in the body. Combining some essential oil which aids in reducing fluid retention with massage oil will enhance draining excessive fluid. Sweet orange essential oil is one of many essential oils which help to reduce fluid retention. Its botanical name is “Citrus Sinensis”. It’s extracted by a cold-pressed method from the ripe outer peel. Reducing excessive fluid and toxin build up caused by Diuretic or urination. Good for the immune system, plus can help with colds and flu. Stimulates digestive system and relieves cramps. Good general skin tonic helps detoxify congested skin. It is particularly beneficial for acne, older, mature skin, dry irritated skin and dermatitis. Relives inflammation, whether internal or external. The Smell of Sweet Orange is beneficial for insomnia. It’s gentle enough to use on children and can help them get to sleep at night. 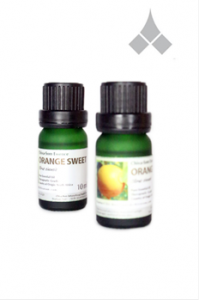 Sweet Orange Essential oil is considered to be photo-toxic. So after application to the skin, you should avoid exposure to direct sunlight or have shower after the massage. Do not take sweet orange essential oil internally.